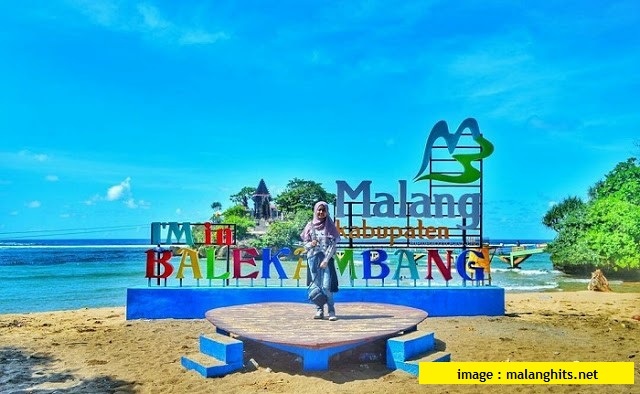 Balekambang Beach is one of the most beautiful and popular beach in Malang. 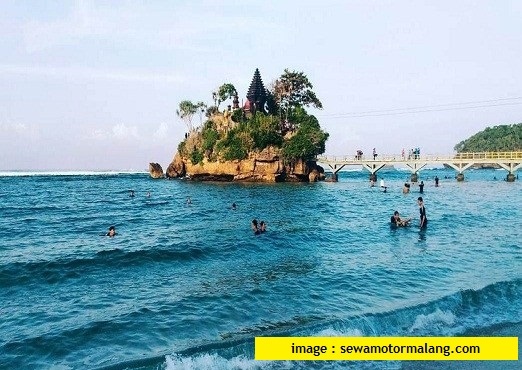 Many of travelers had visited Balekambang Beach, especially in holiday season. There is an island with the small temple above, namely is Ismoyo Island. You can see the beauty of this island very clearly. You can reach the Ismoyo Island with using the bridge from Balekambang Beach. This temple is similar with Tanah Lot in Bali. This temple was built in 1985 and the name of the temple is Pura Amerta Jati. Not only the temple that become attractiveness, but the sand and also the small waves become an interesting sight. You can swim or just play water around here. If you do not want to get wet, you can relax in the pavilion, or hunt souvenirs at shops around the beach. Balekambang Beach located in Sumber Jambe, Srigonco Village, Bantur District, Malang Regency, East Java. 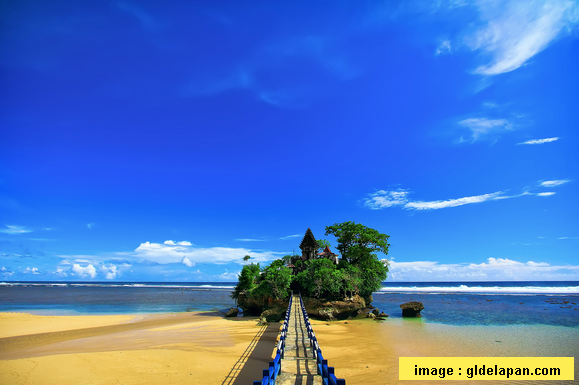 The distance from Malang City is about 67 kilometers to south and the access to the beach resort is very easy. Along the trip, you can enjoy the beautiful of tropical and teak forests. If you want to reach the Balekambang Beach, you can choose to use private vehicles or using public transport, such as bus. While you in the beach area, you will be pampered with very clear water with the blue colour that will give it's own charm. The waves is not very big and it has a very exotic panorama. Balekambang Beach is very clean presentable. Not only the surf and sands that becomes a charm in Balekambang, the atmosphere is quiet and cool air becomes attraction for tourists. There are three islands near Balekambang which is become one of the attraction for tourists. The tourists can see the panoramic beauty of the island, such as Anoman Island, Ismoyo Island and Wisanggeni Island. To enjoy the natural beauty and exoticism scenery, you need to pay IDR 10.000 - IDR 15.000 per person. You can do many things, such as play sand, swimming or just laying down around the beach. Around the beach, there are many lodgings that you can choose with the appropriate price. Hotel Wibisana become one of the choice to stay there. But when the holiday season is coming, the lodgings will fully booked. Better you make a reservation before visiting Balekambang Beach. There also has a public toilet and shower facilities to clean your body after playing sand or swimming. 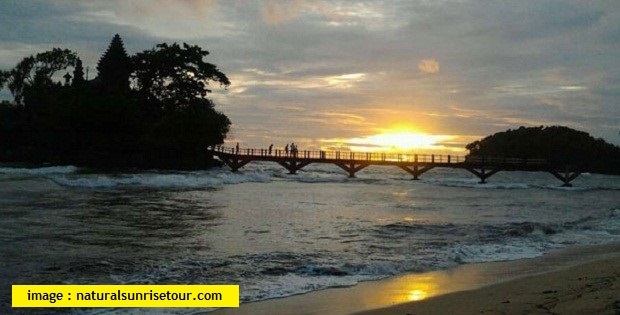 If you interesting to visit the Balekambang Beach, you should come in the morning to enjoy the beautiful scenery of the sunrise. And also the weather is not too hot. Please to bring hat, umbrella and sunblock to covering your skin. Please follow the rules and restrictions on the beach to keep your safety.